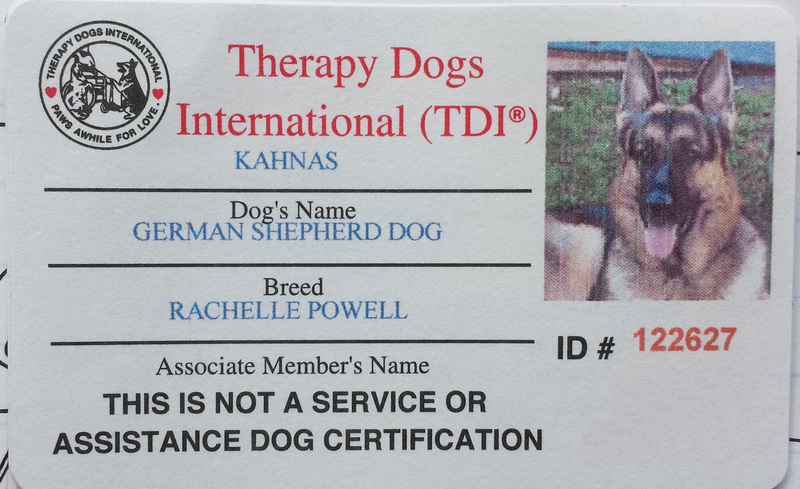 Kahnas has an awesome temperament. 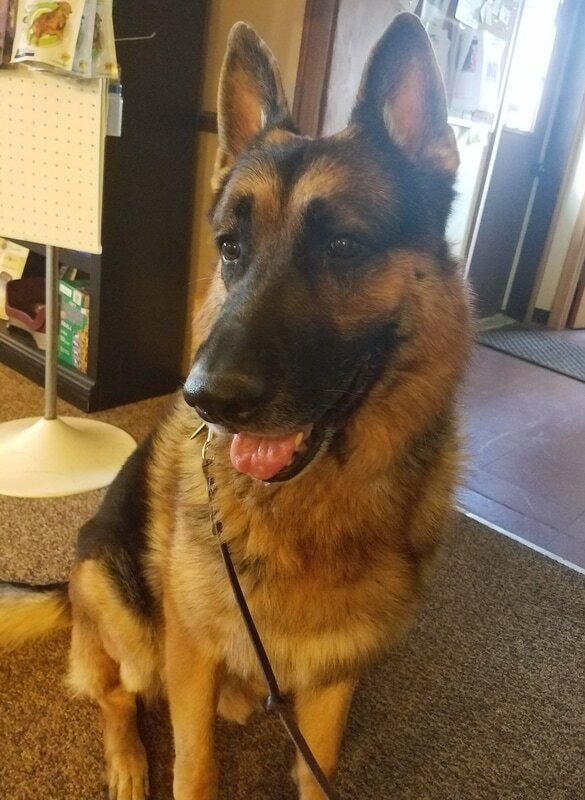 He is a certified therapy dog, and many say he's so good at it, he's like a golden retriever in a German shepherd's body. 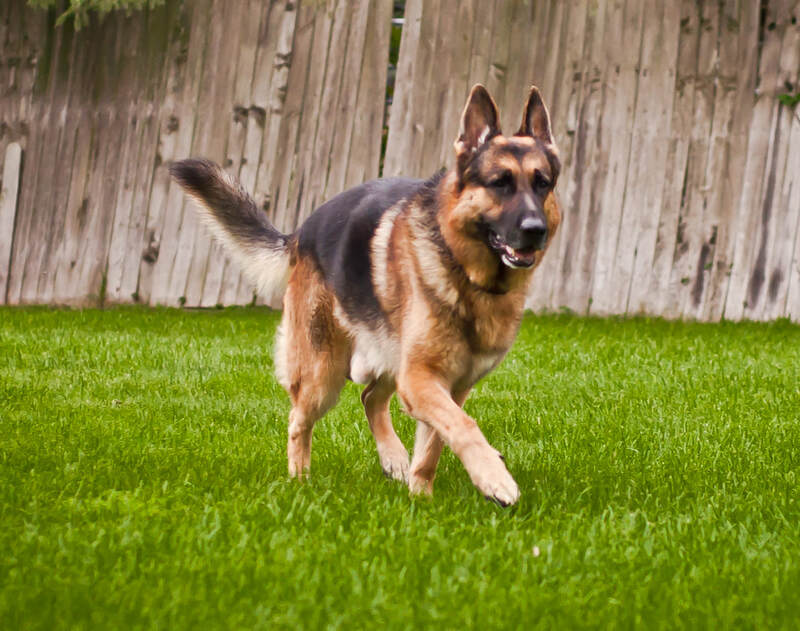 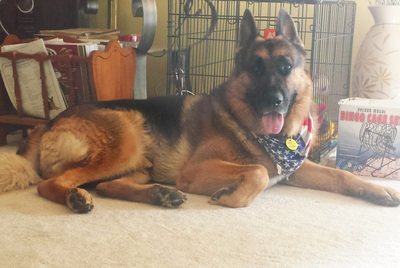 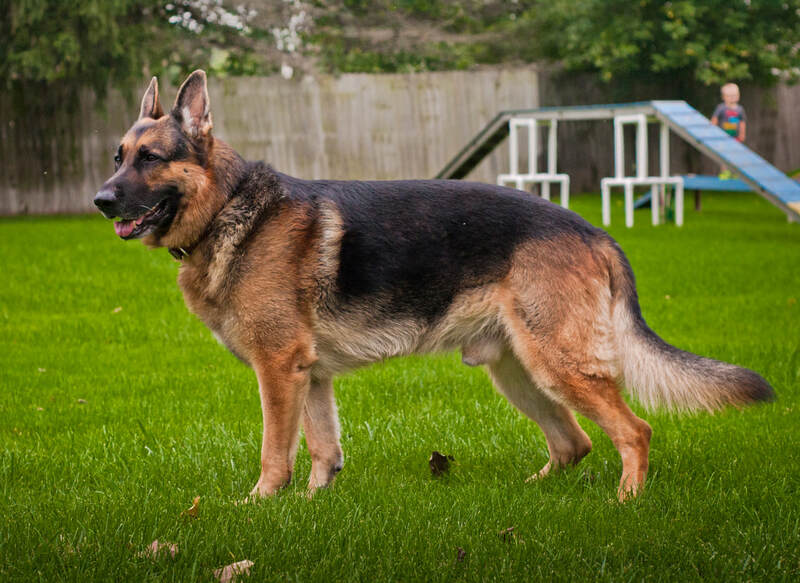 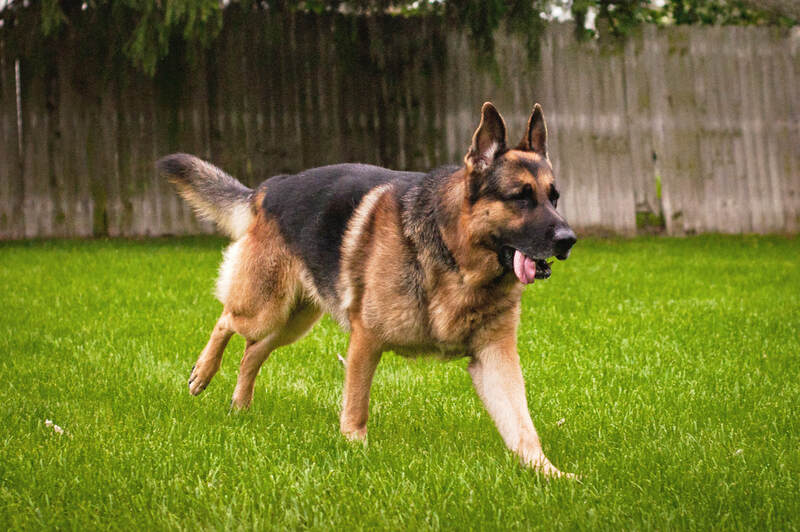 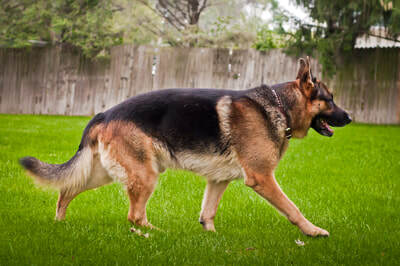 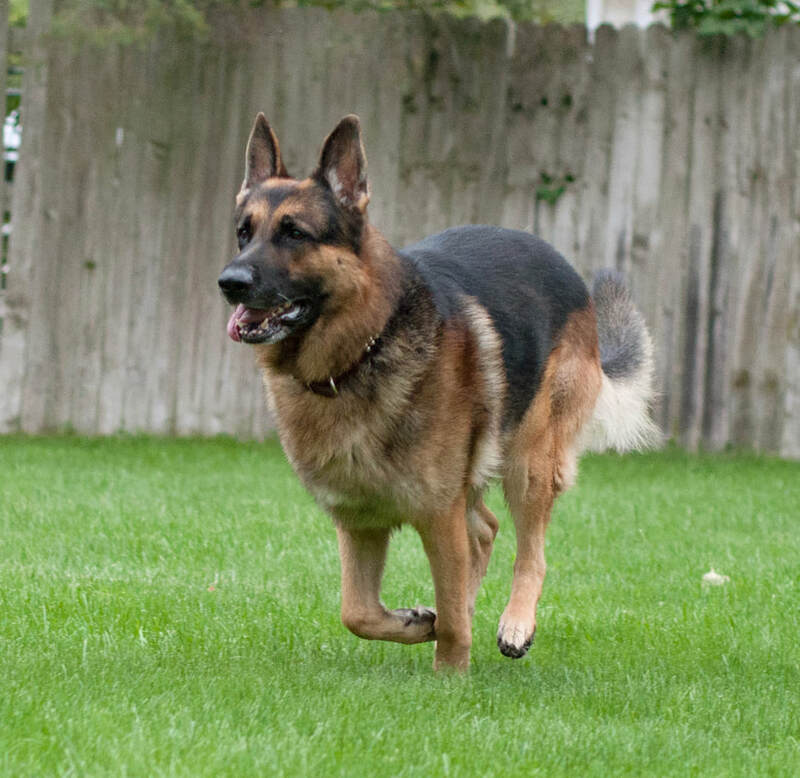 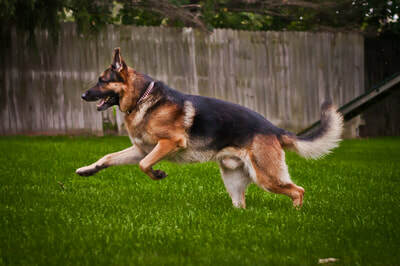 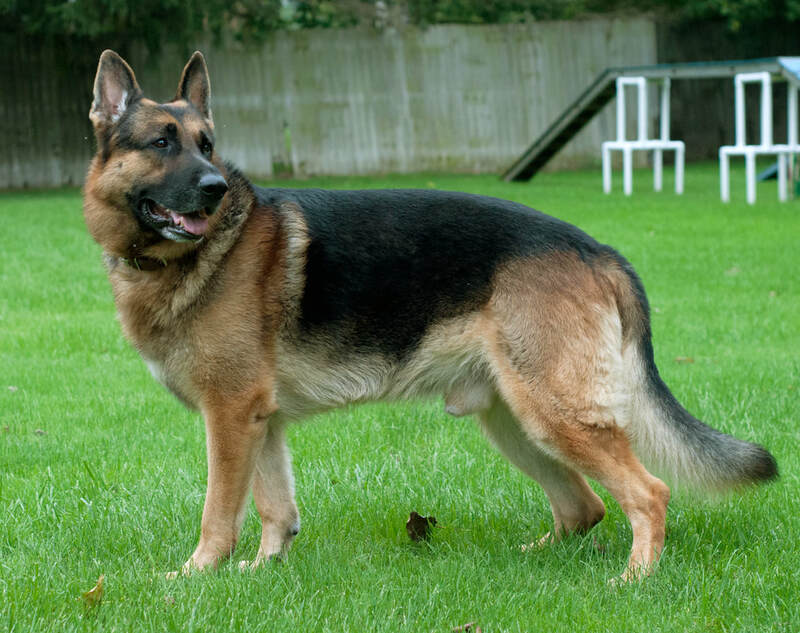 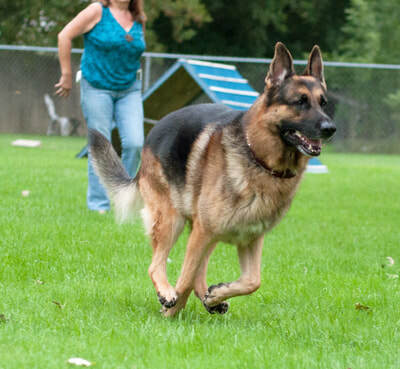 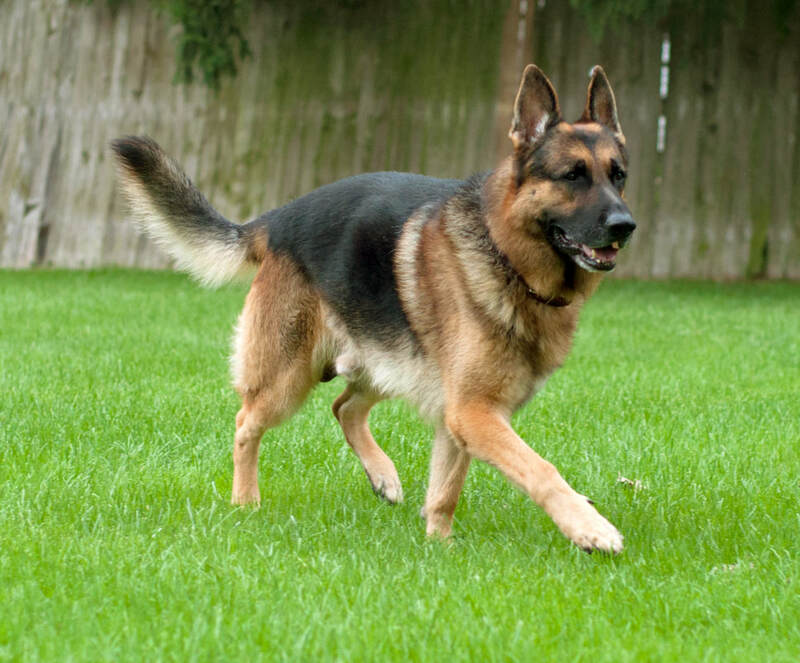 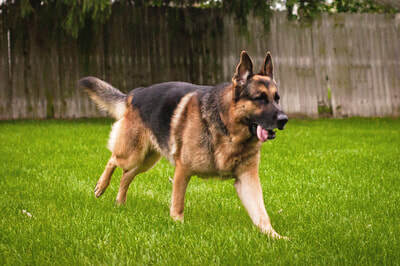 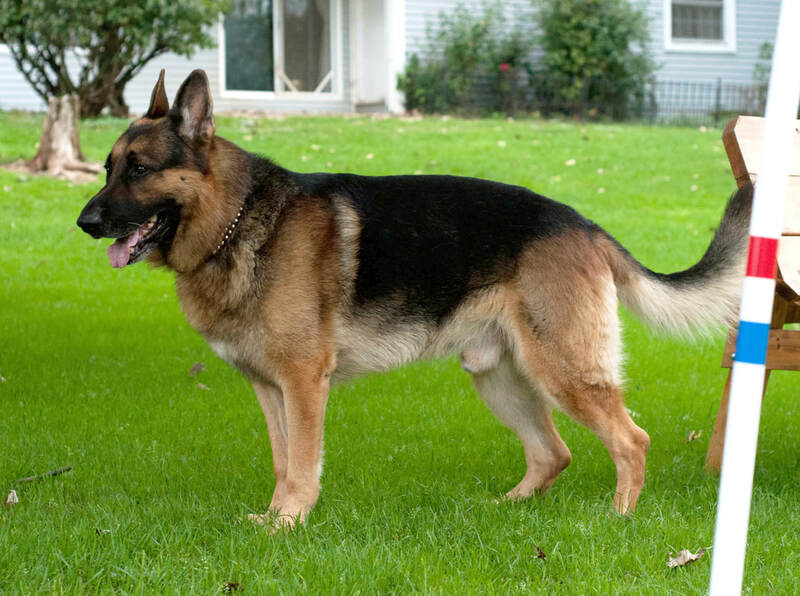 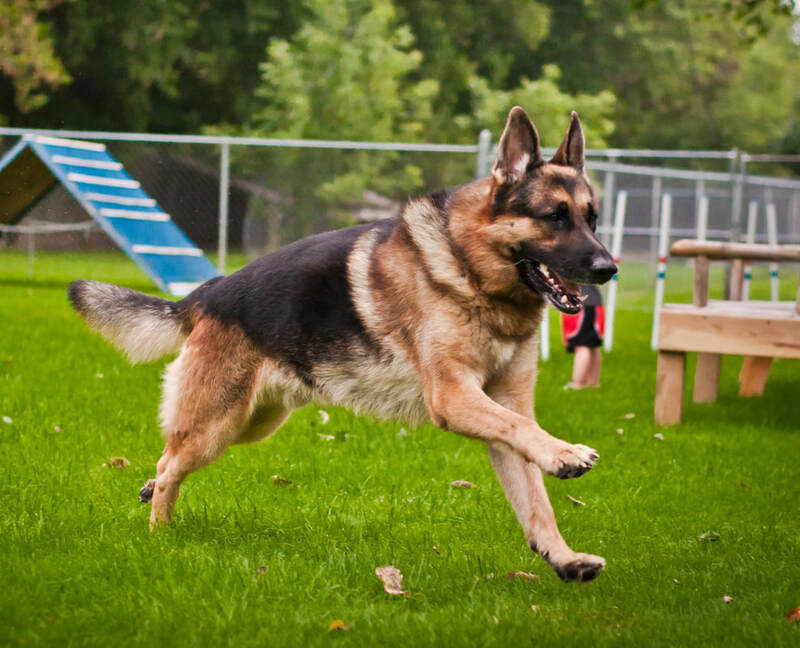 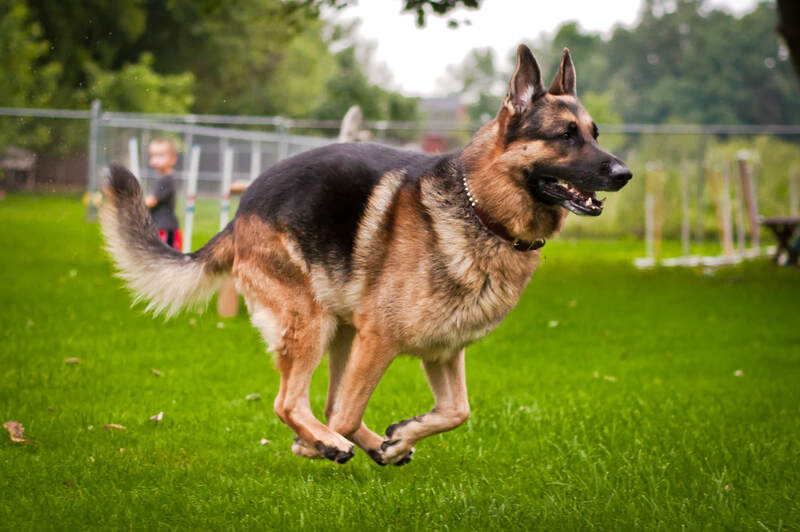 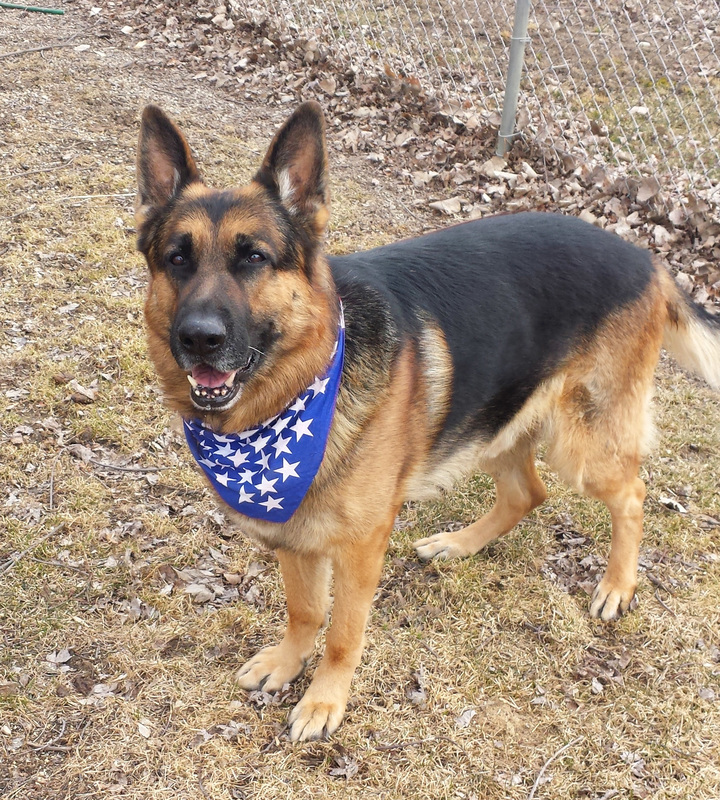 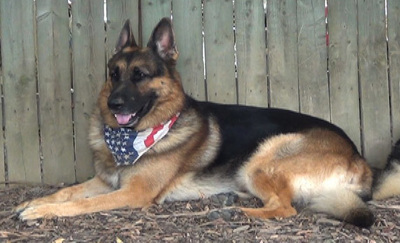 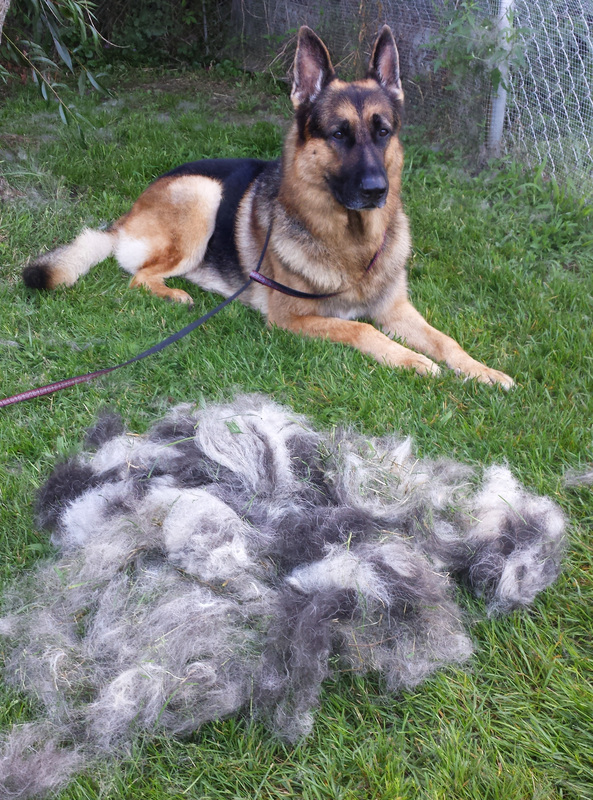 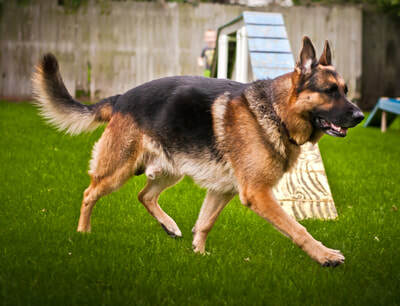 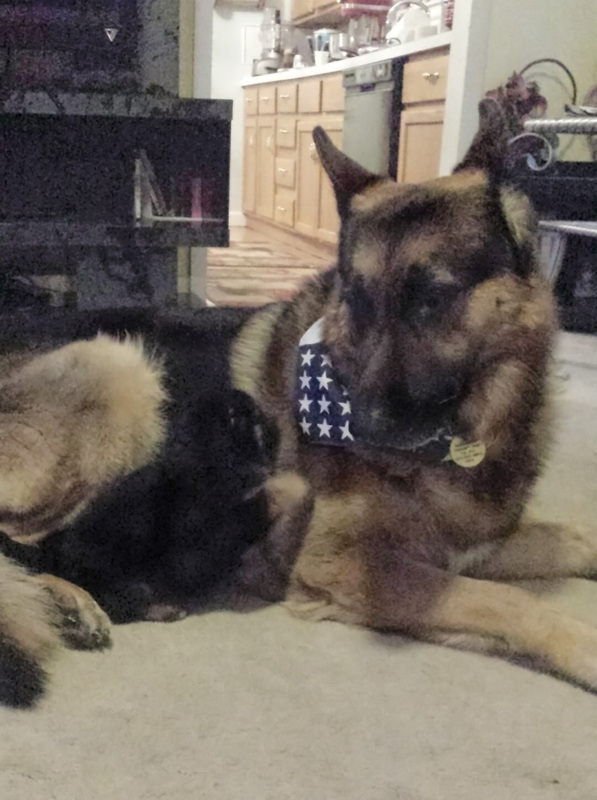 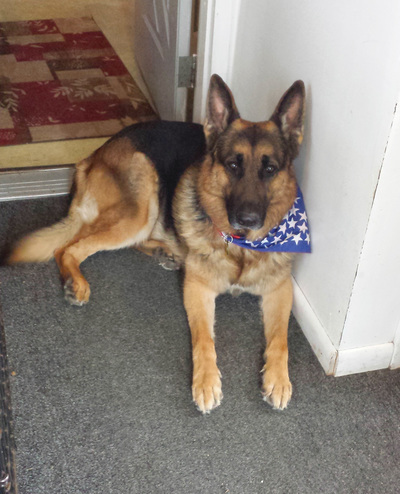 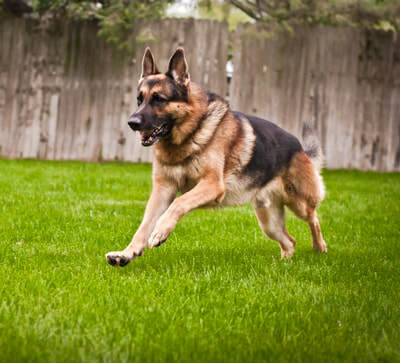 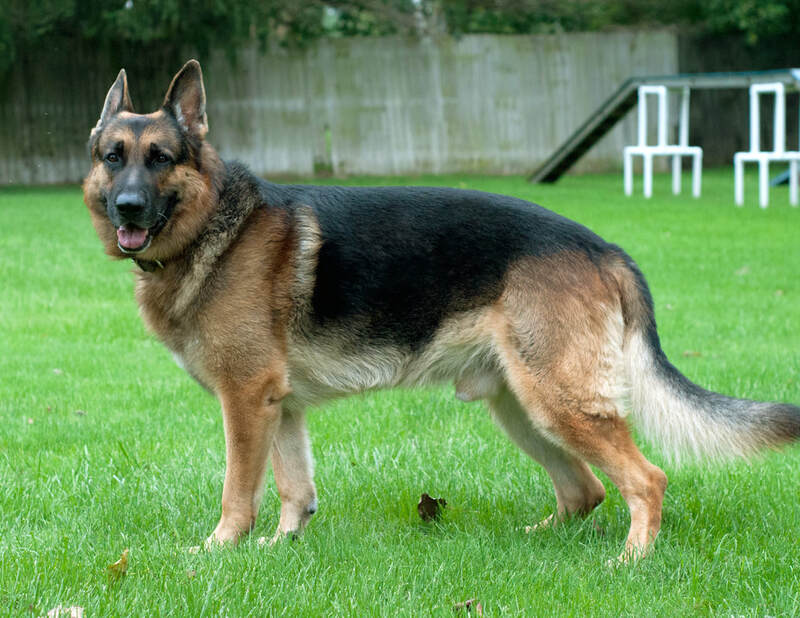 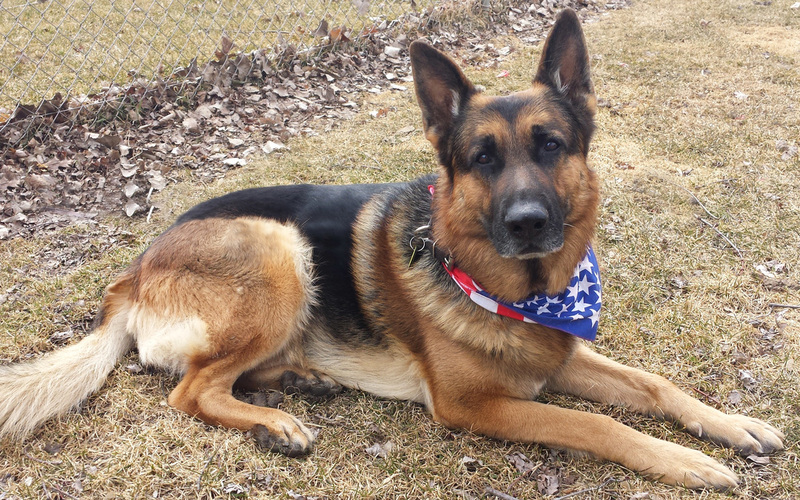 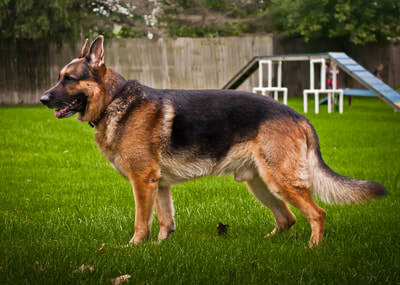 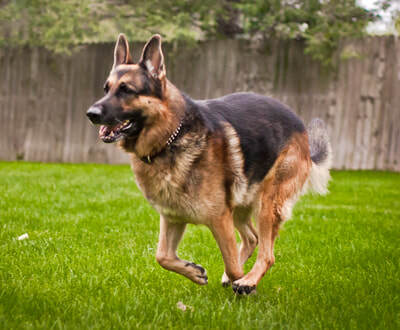 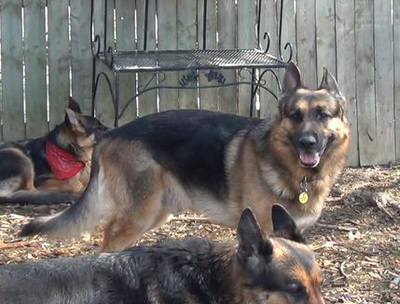 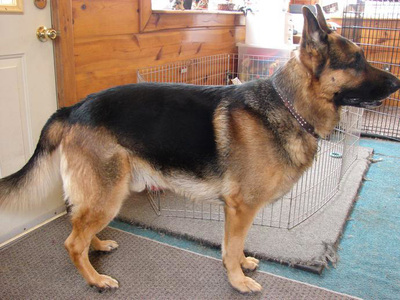 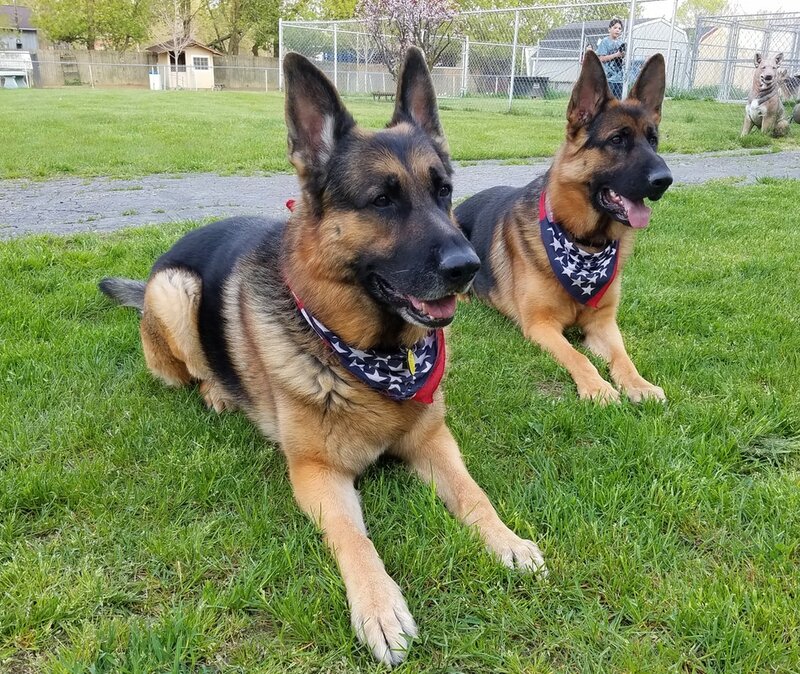 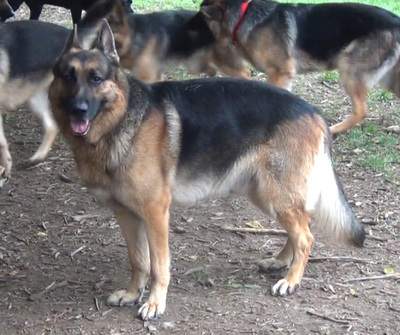 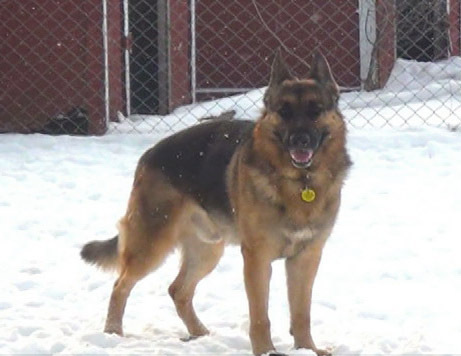 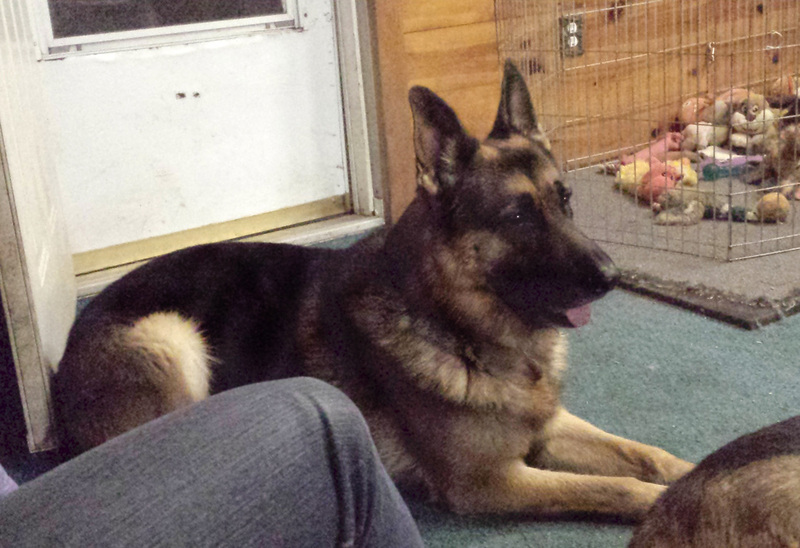 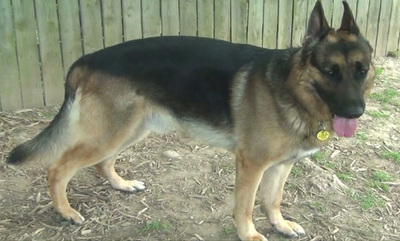 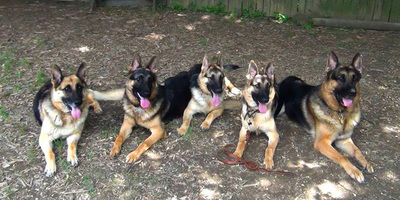 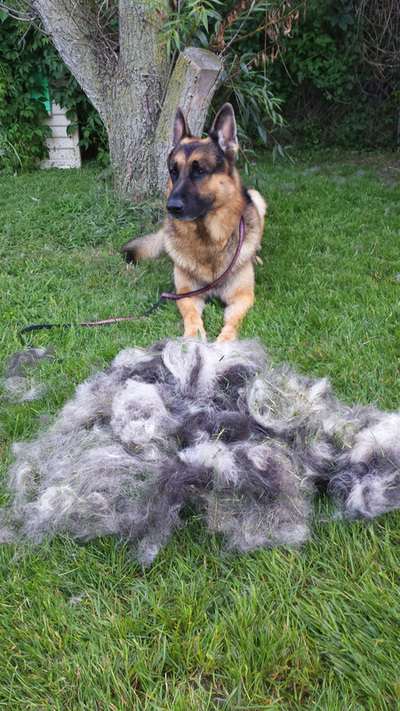 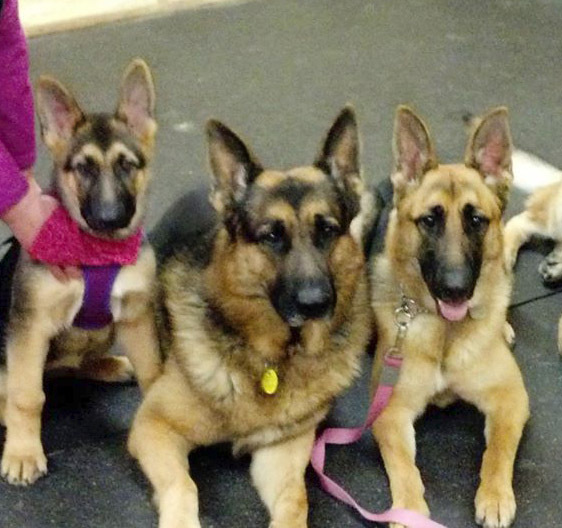 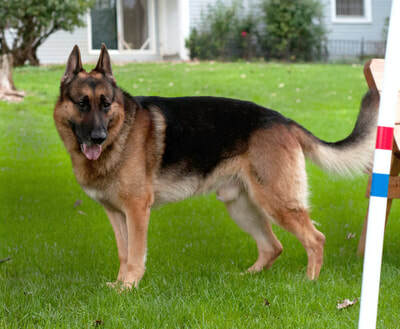 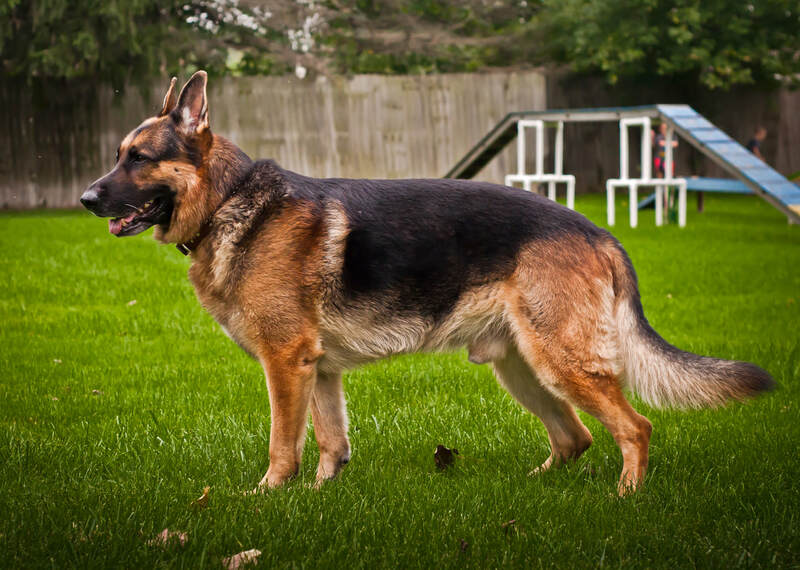 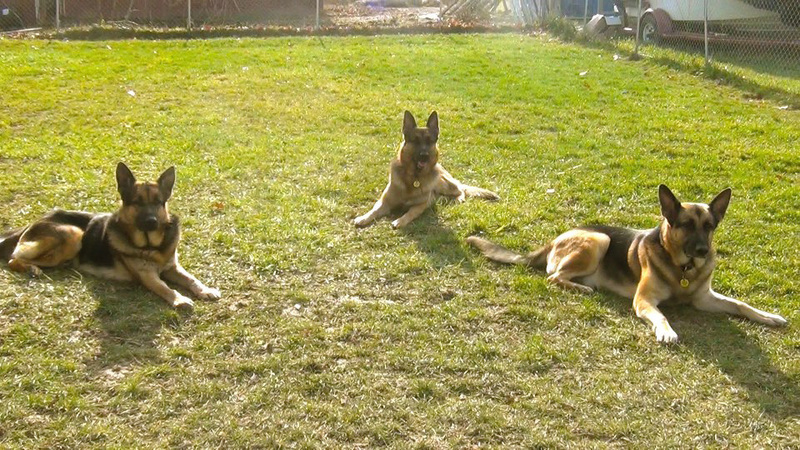 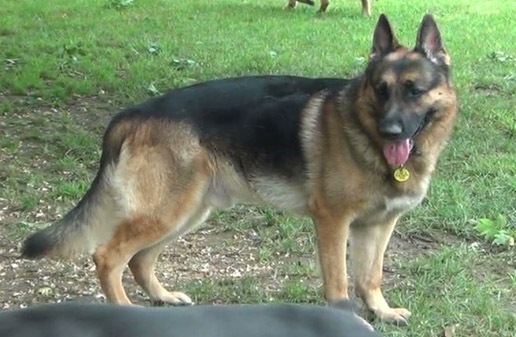 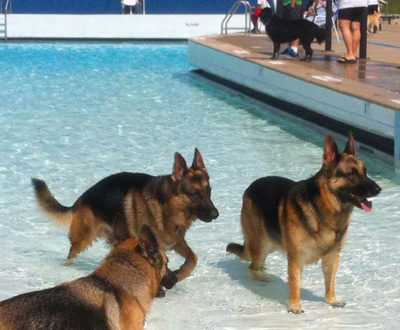 We respond by telling them, "no, he's a German shepherd in a German shepherd's body." Guests often remember him not only for his good looks, but his affectionate and social nature. 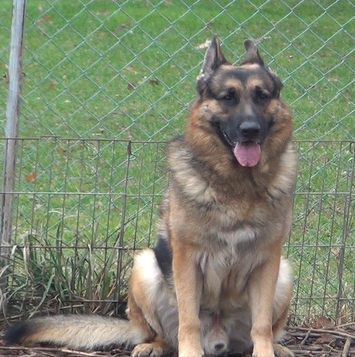 His mother is Sch3 V rated ﻿﻿Shakti﻿ Von Stonehill﻿. 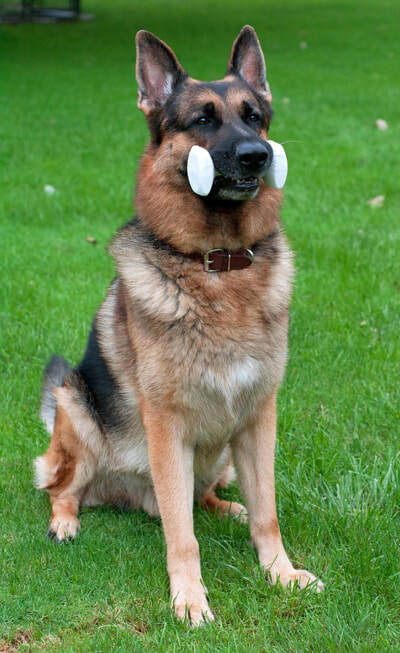 He has excellent work motivation and a happy demeanor. 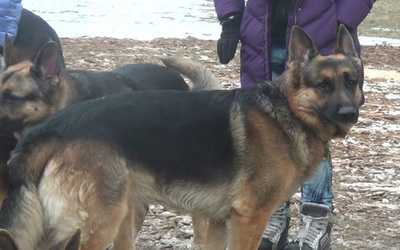 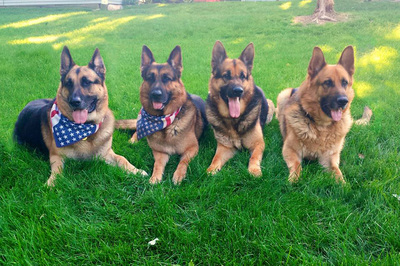 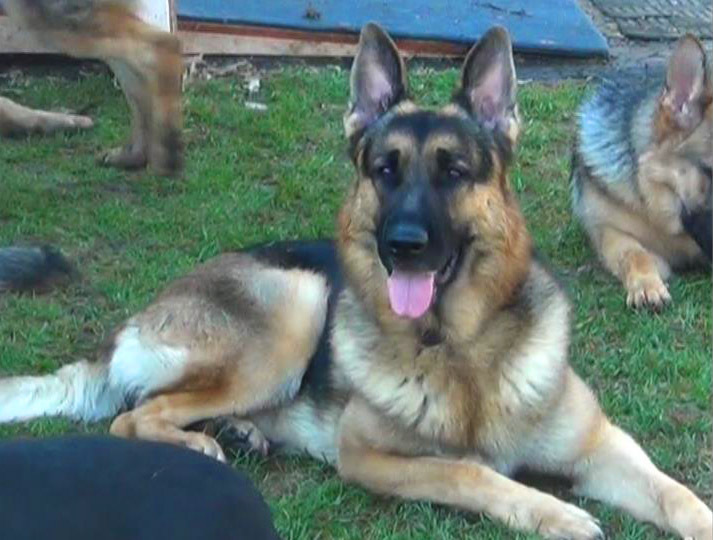 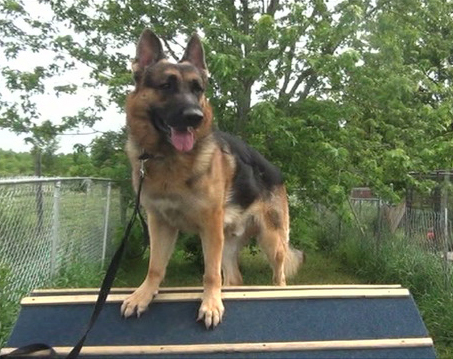 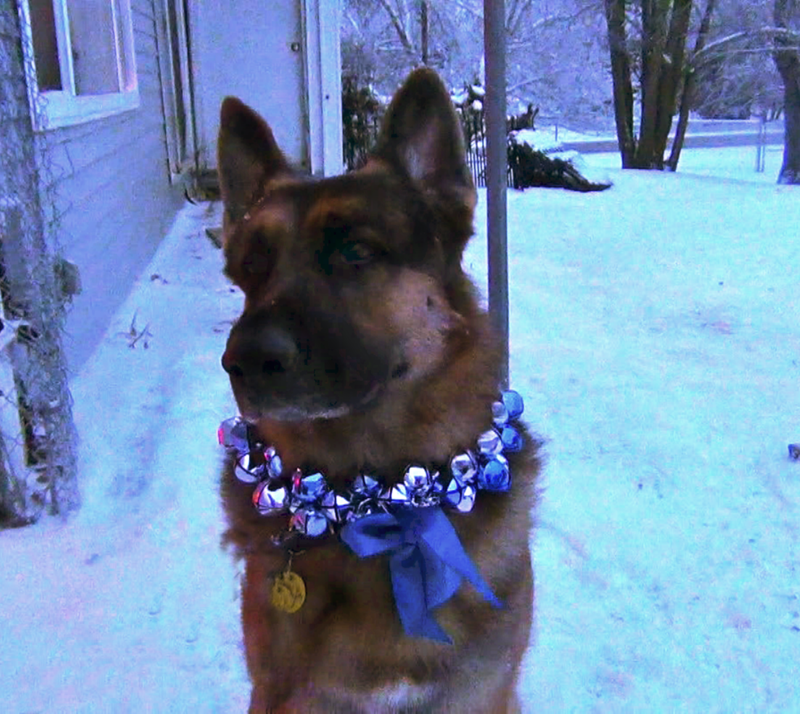 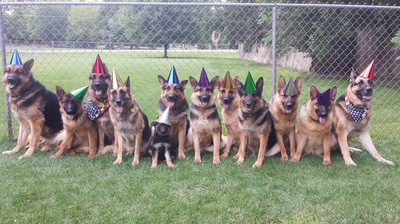 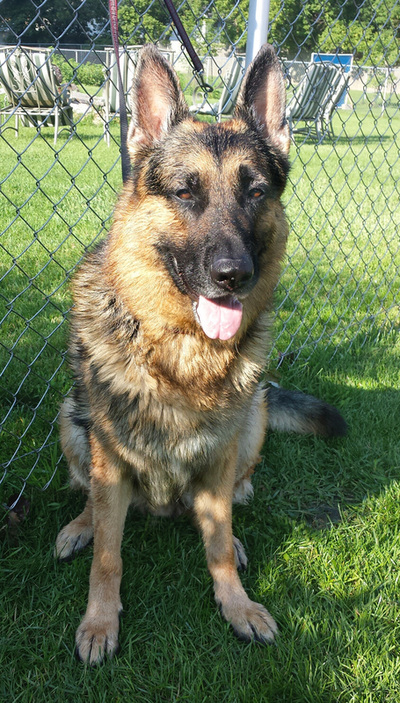 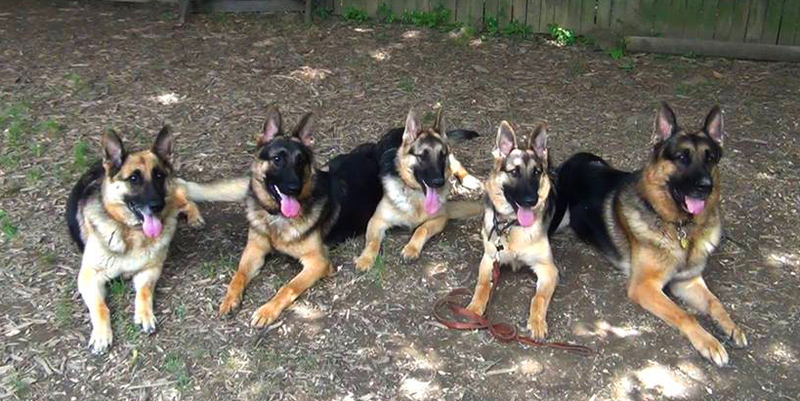 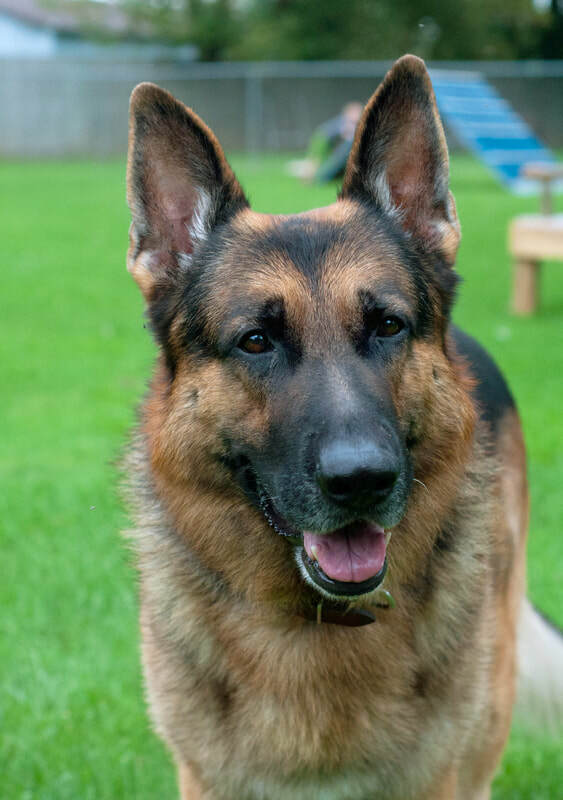 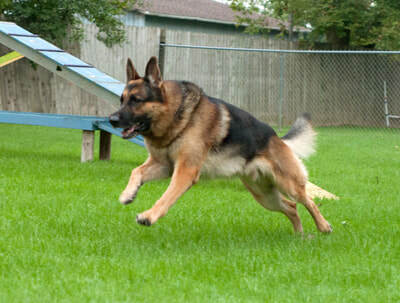 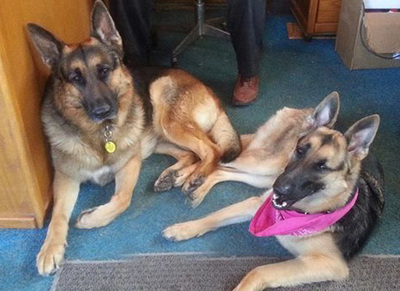 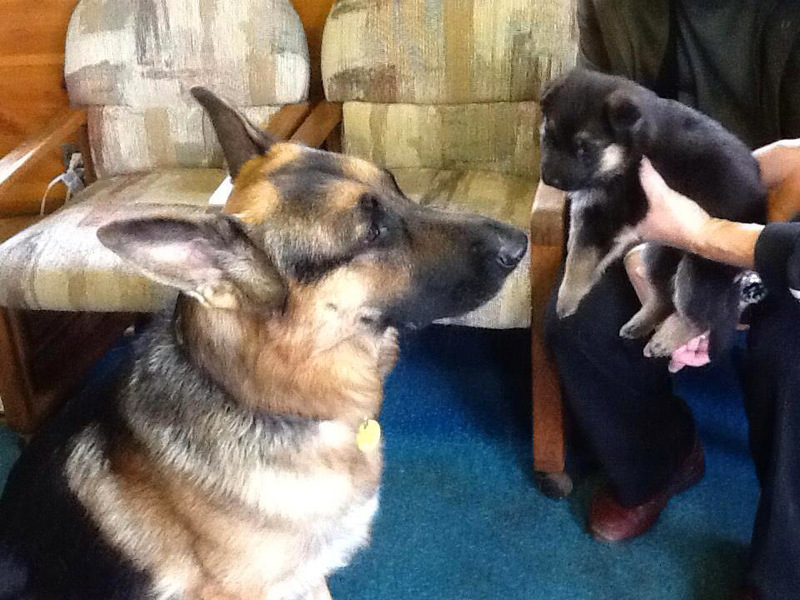 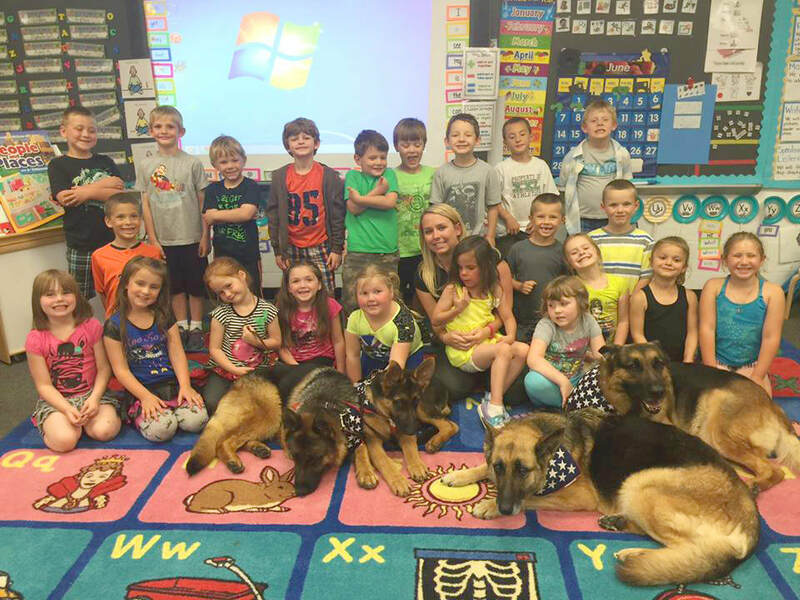 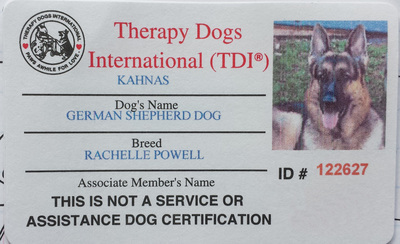 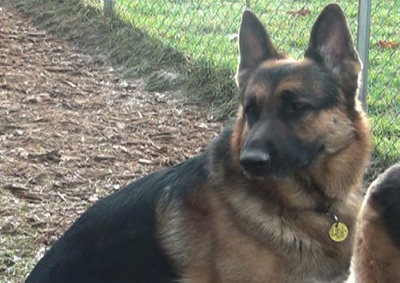 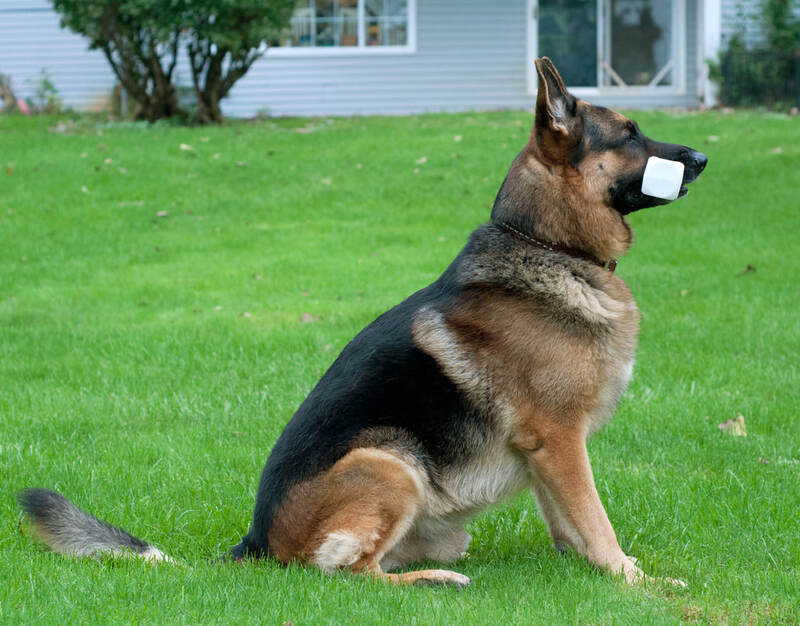 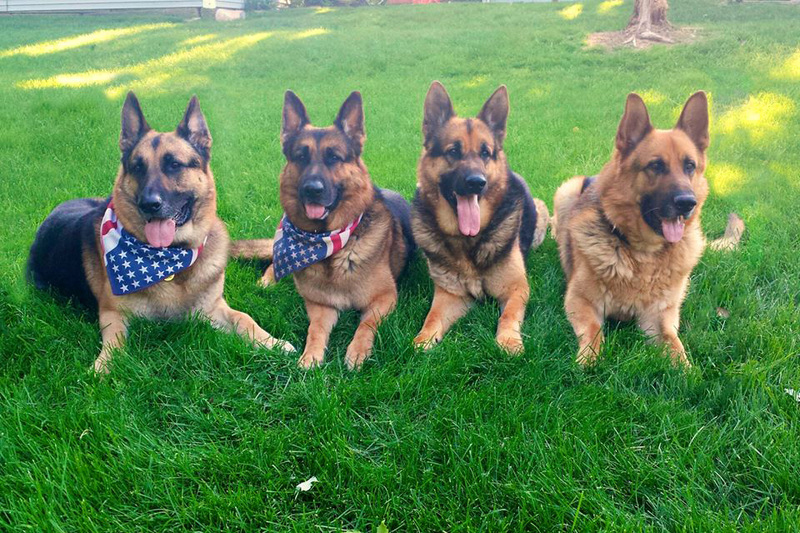 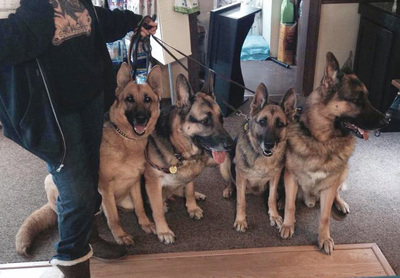 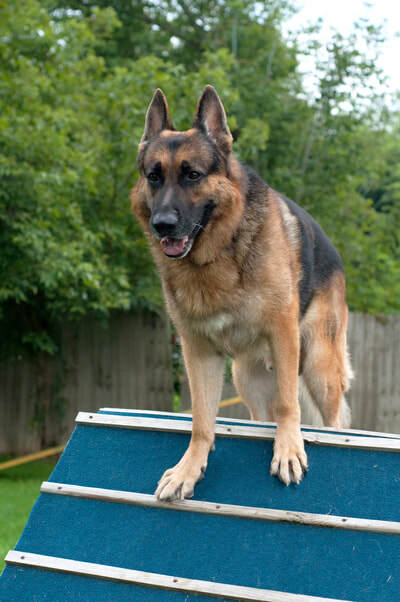 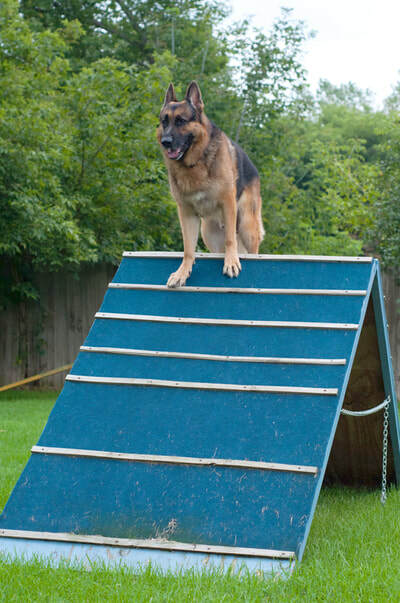 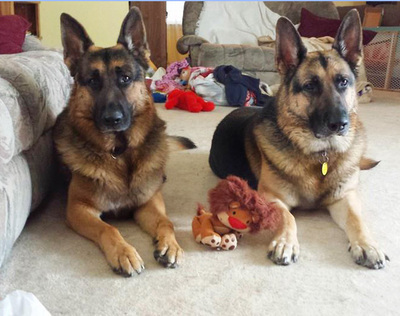 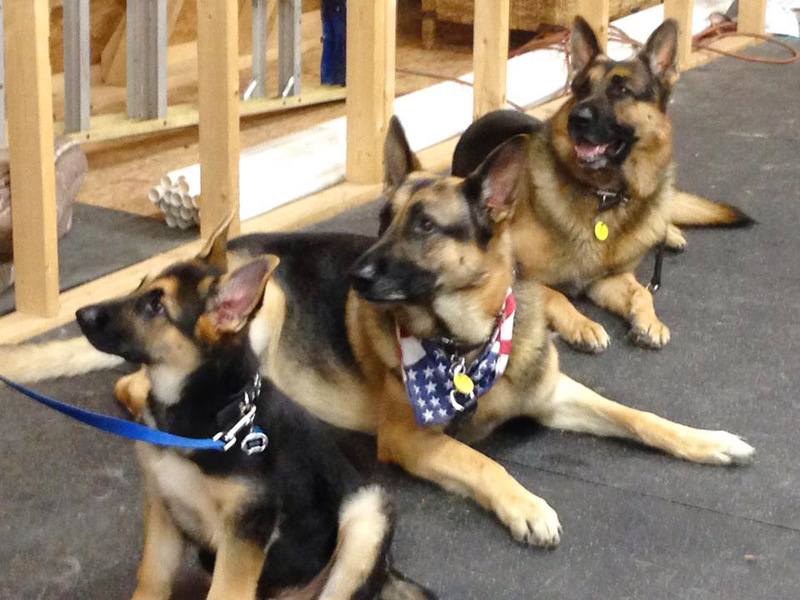 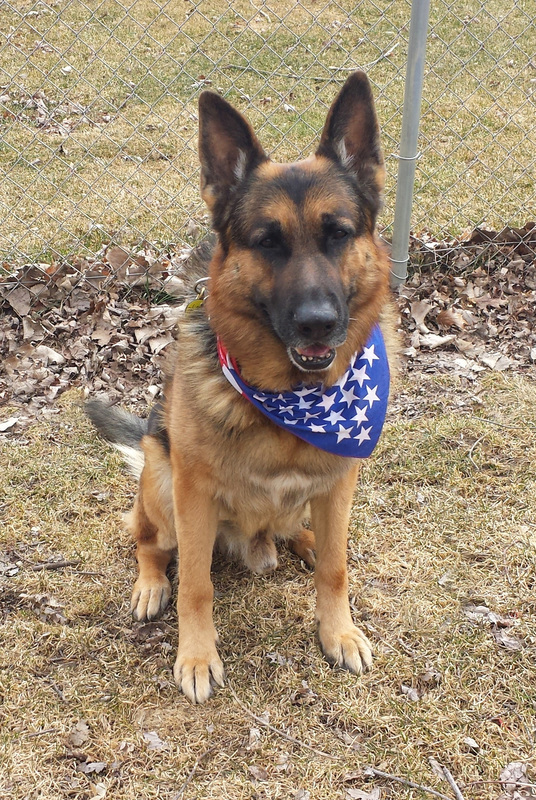 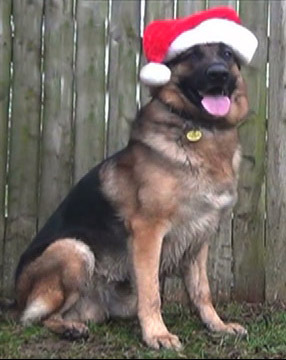 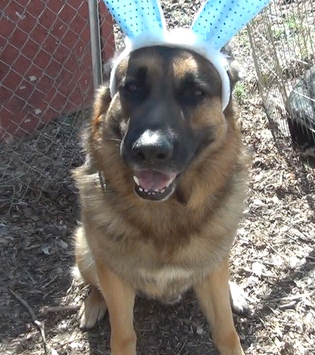 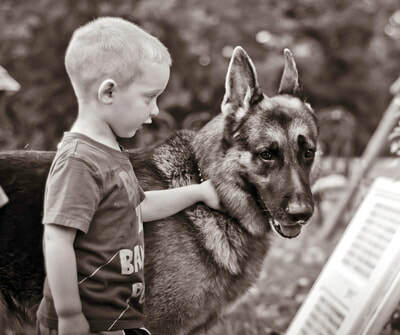 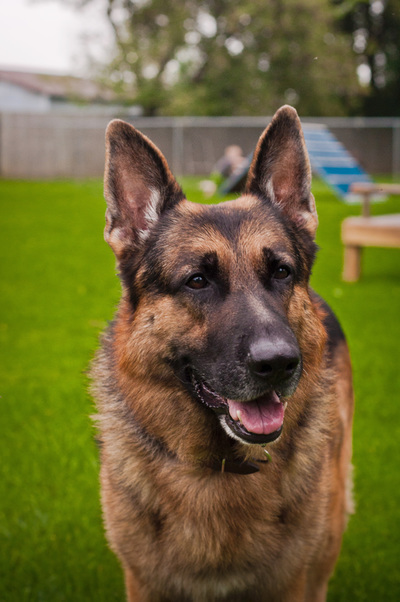 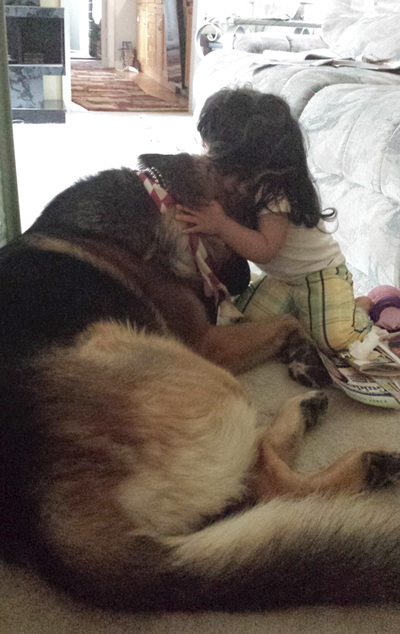 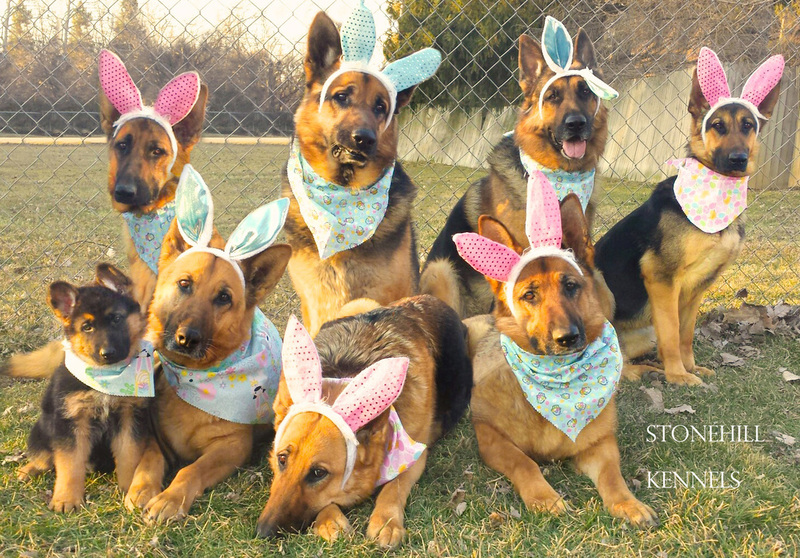 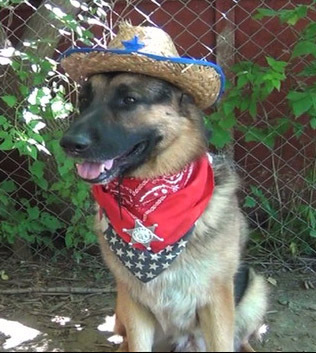 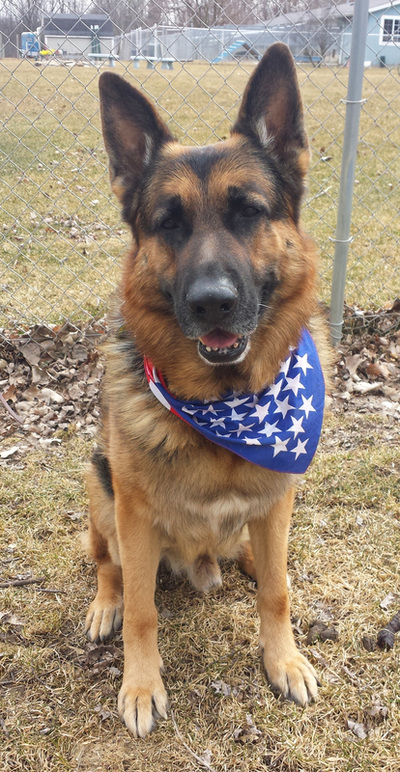 He has passed this on to his pups, many of whom have become Police K9's and detection dogs. Showing off his Easter bandana! 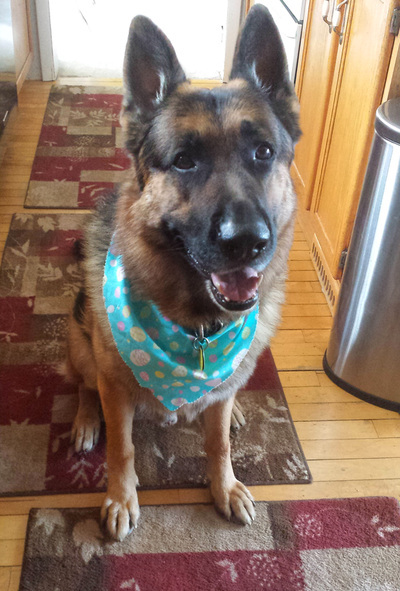 "What are you doing with that camera?" 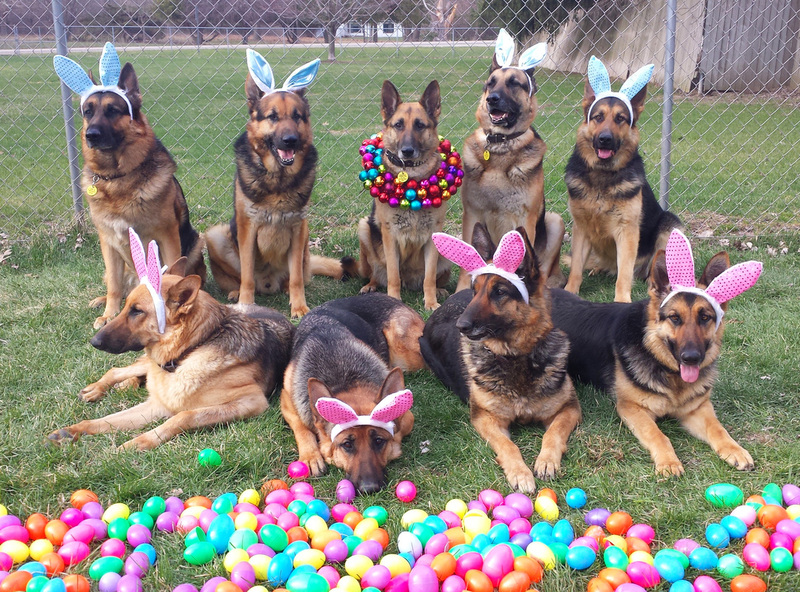 Back left, dressed up for Easter! 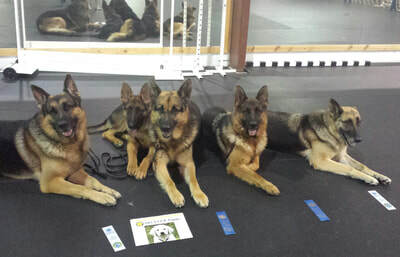 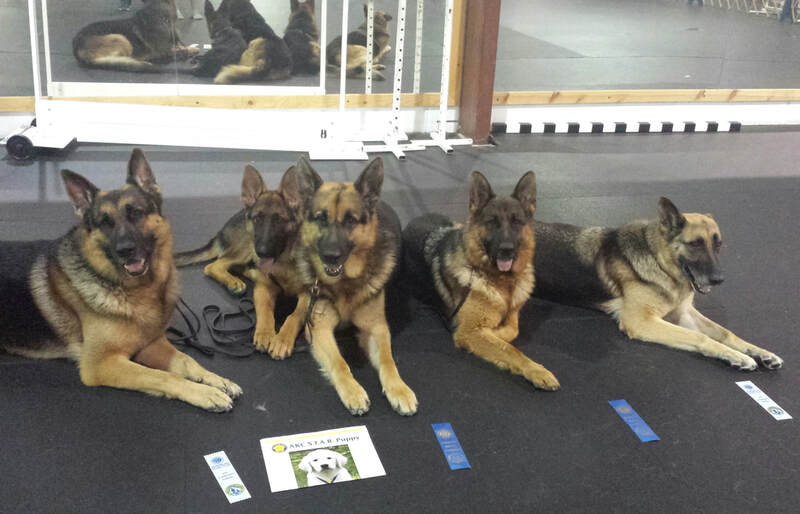 Second from the left at the dog bowl! 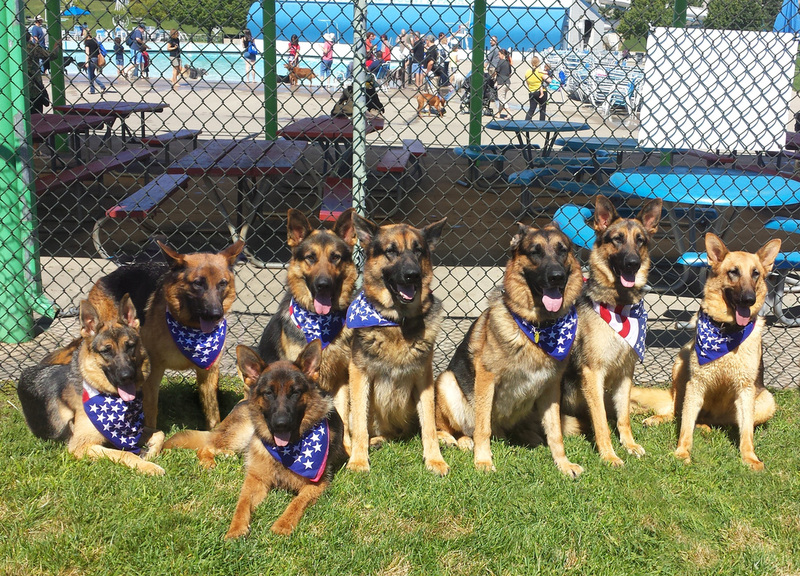 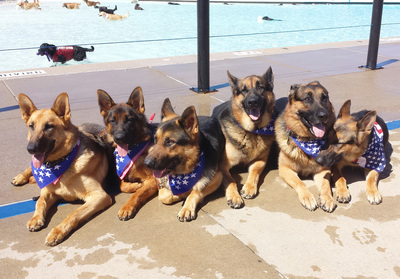 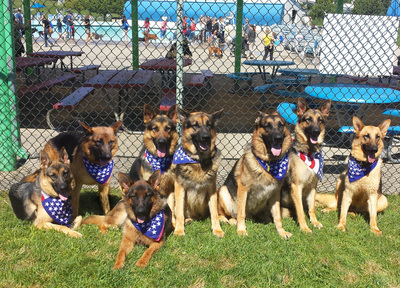 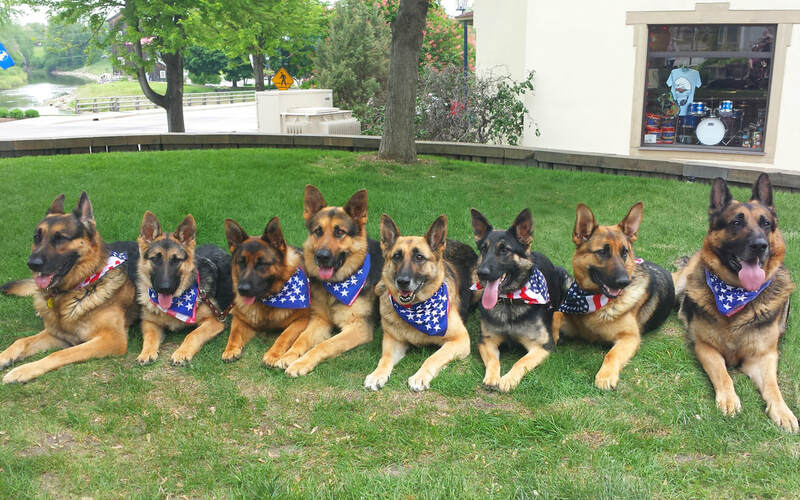 Third from the right at Bark in the Park! 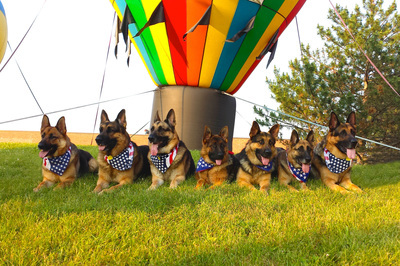 Second from the left at Balloon Fest! 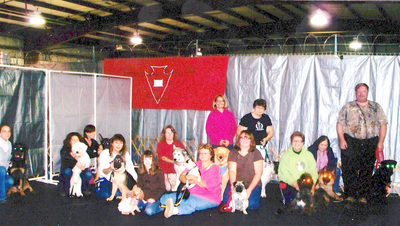 Back row, second from left. 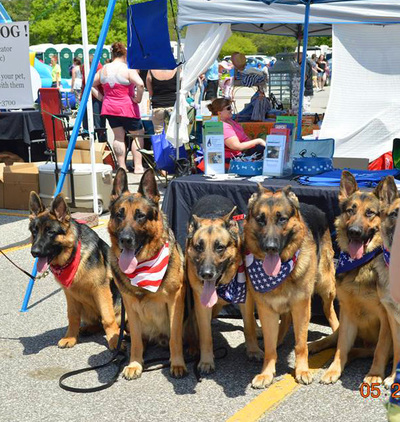 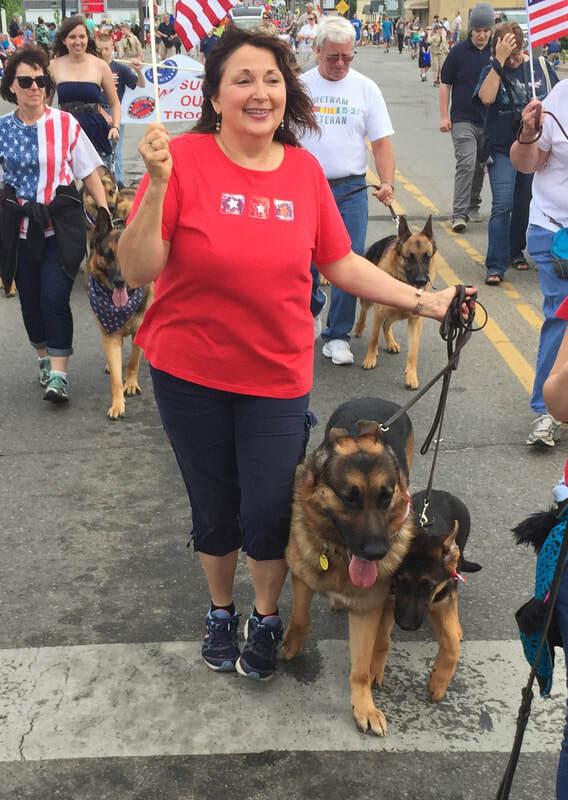 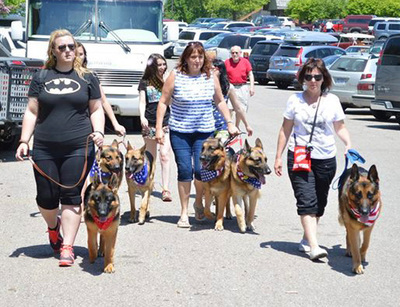 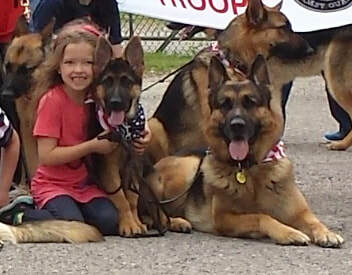 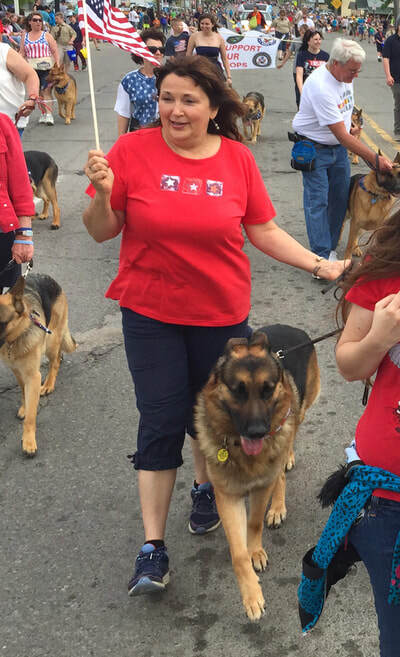 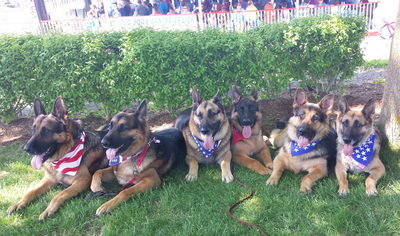 Second from right, at bark in the park!